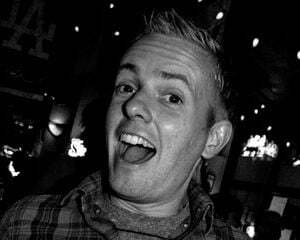 Have you ever got to a plot twist in a game and thought to yourself, “Wow, I genuinely didn’t see that coming!” While most videogames try their best to surprise players with a huge story revelation, most come up short and offer ridiculously predictable “twists” or, even worse, no unexpected turns at all. Once and a while, though, a game comes along that really does pull the virtual rug out from underneath you. Although few and far between, these revelations are all the more rewarding because they are so rare (especially in established franchises). In hindsight, a lot of these moments may seem almost obvious; some even having you question your own intelligence. “How could I not have figured that out?” you ask yourself as you ponder what techniques the game utilized to present the unexpected. 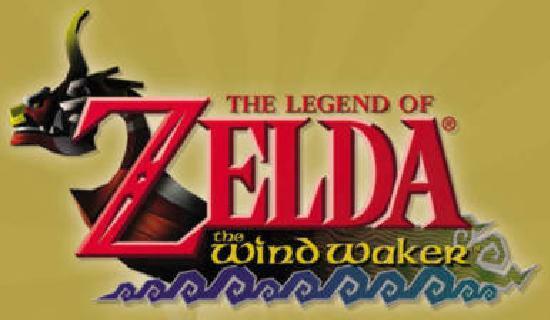 One such moment occurs about halfway through one of the most artistically gorgeous games ever created, The Legend of Zelda: The Wind Waker for the Nintendo GameCube. Whether you saw it coming from a million miles away or, like me, was blinded by the game’s beauty, let's relive a refreshing change of pace in the sometimes overly conventional Zelda universe. 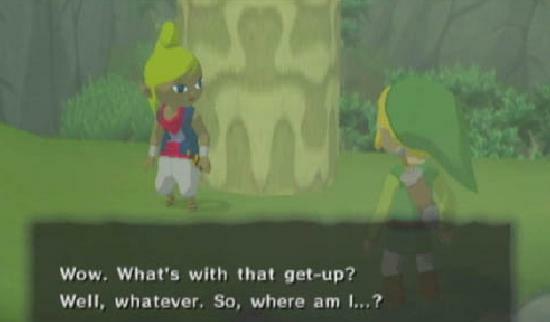 Like most Zelda games, The Legend of Zelda: The Wind Waker starts off rather basic. Of course, this time you (playing as mainstay Link) are on a small island in the middle of a vast sea (instead of the classic fields of Hyrule), but every other standard remains pretty much intact: wake up from a nap, find your sword and shield, talk to some friendly characters, prepare for your journey. Nothing out of the ordinary. Pretty quickly, though, the game takes a harsh turn when you use your newly acquired telescope and witness a young blonde girl, unconsciousness, being carried away by a giant bird. 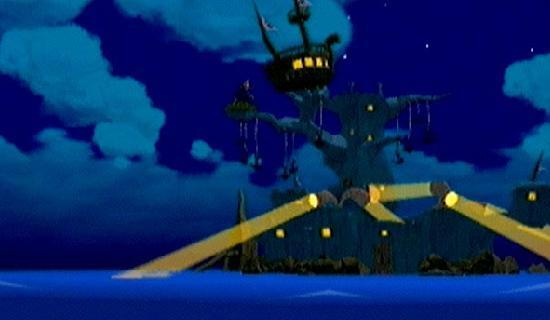 Immediately, a huge pirate ship (pirates? In Zelda?) appears on the horizon, shooting cannonballs at the bird, determined to save the girl from being taken. With a smack, one of the cannonballs meets the avian kidnapper. Unfortunately, because of this harsh blow, the bird drops the girl into a nearby forest. Using some of your impressive sword skills, you eventually fight your way through the monster-filled forest and rescue the just-waking-up girl from some evil Moblins. Although giving you way more sass than thanks, you discover that the girl is a pirate captain by the name of Tetra (and the pirates trying to rescue her are her crew). As the two of you leave the forest, the giant bird returns, this time snatching away your sister Aryll and flying off towards its home, the Forsaken Fortress. Determined to get your sister back, you request passage on Tetra’s ship. Hesitantly agreeing, Tetra lets you tag along, the two of you becoming quick companions. After an unsuccessful (and almost deadly) trek through the Forsaken Fortress, Link and Tetra decide to team up to figure out what is going on in their world and why young girls are being kidnapped. 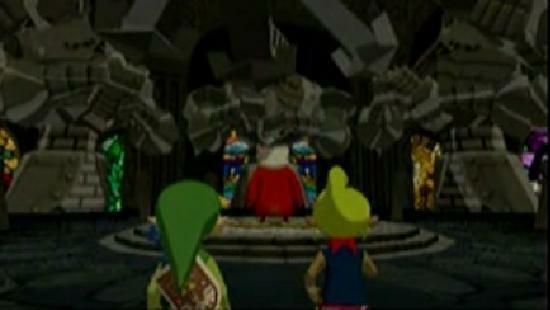 Through many quests and perilous dungeons (and after finding your trusty Master Sword), you eventually end up back at the Forsaken Fortress, determined to get some answers from the structure’s mysterious leader. As you walk into a room in the fortress’s highest tower, the next Memory Card moment surprisingly occurs. To be honest, there are a bunch of revelations at this point in the game, but the one that stood out the most happens when you confront the leader of the Forsaken Fortress. Coming as no surprise, the malevolent ruler and the reason for all the kidnappings is none other than the thief Ganondorf, the main villain from almost all of the Zelda games. 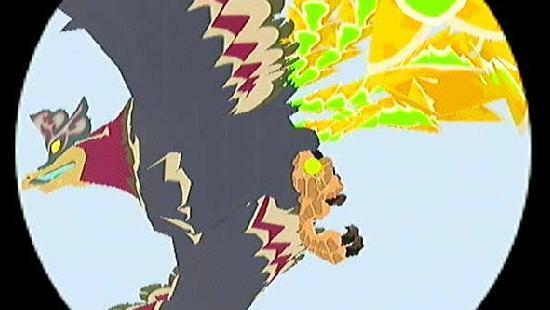 As you try to attack Ganondorf, he just laughs (totally classic sound, by the way), telling you that by removing the Master Sword from its home you unlocked the power of the Gods, which he will now use to destroy and control the world. Nice one, Link. 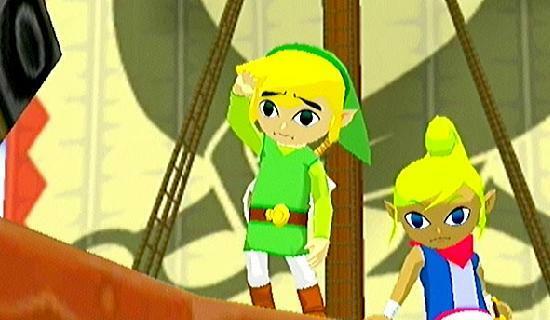 Right before Ganondorf delivers a devastating blow to you, Tetra the pirate jumps in a nearby window to help you. As if with no effort at all, Ganondorf sweeps up Tetra and readies a deadly attack. Suddenly, though, Ganondorf stops once he notices a strange necklace around Tetra’s neck. 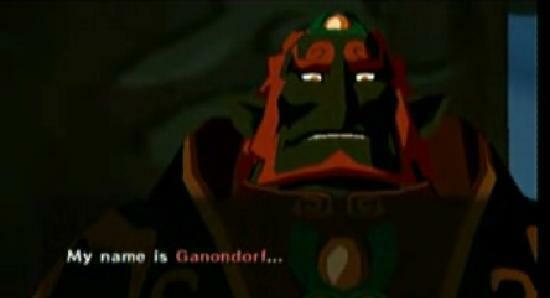 Coming out of nowhere, Ganondorf then looks at Tetra and calls her Princess Zelda. Before you and Tetra can even comprehend what is happening, some old winged friends from earlier in the game swoop in and save you from the evil thief. After recovering from the traumatic encounter, you and Tetra are requested to return to the location you found the Master Sword. Hoping to get some much needed answers, you agree and travel to the sacred spot. While there, not only do you discover that the entire world you have been traversing is actually a flooded Hyrule (gasp! ), you learn that Tetra really is Princess Zelda and that her necklace is part of the Triforce of Wisdom (one of three triforces that grant the owner almighty powers). Even more shocking, the one telling you all this information is the long lost king of Hyrule, a prisoner, forced to remain trapped within his own castle walls until the curse of Ganondorf is broken. The king of Hyrule steps forward and pulls out a small golden object, attaching it perfectly to Tetra’s special necklace. As the two pieces are brought together, the complete Triforce of Wisdom is formed and a blinding white light surrounds Tetra. Once the light subsides, Tetra’s entire pirate appearance has been transformed, revealing the beautiful Princess Zelda we have all come to know and love from previous games. With the support of the Princess on your side, you take control of Link once more and set off on the rest of your journey, determined to stop Ganondorf and restore Hyrule to its former glory. 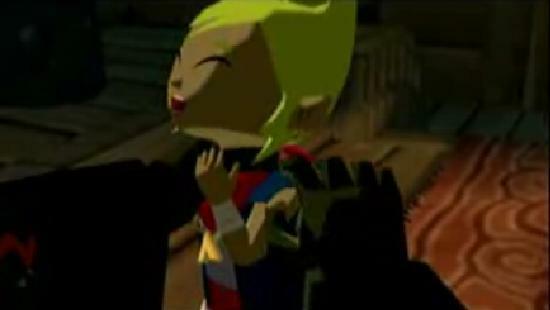 Regardless of whether you saw it coming or not (apparently everyone did but me), finding out that Tetra was really Zelda is a pretty significant moment for many reasons. Most importantly, this story twist occurs in a Zelda game, a series notorious for having repetitive and almost monotonous storylines (Zelda gets kidnapped by Ganon, Ganon obtains mystical power, Link stops Ganon, etc.). Although there have been some drastically different settings along the way (Majora’s Mask) nothing within the context of a Zelda game’s story has been this different. Not only are Wind Waker’s aesthetics completely fresh, it is the first Zelda game to really offer a story that stands on its own. Link is no more encountering the same characters over and over again in different locations. He is starting his almost foreign quest anew, journeying to places and interacting with creatures he has never seen before (heck, he even sacrifices his beloved Epona for a sailboat). Also, no other game in the critically adored series has ever presented Zelda as such a lighthearted and, at the same time, deep character. Within all the other Zelda games, Princess Zelda is a damsel in distress or, at the very least, not in the game enough to support any sort of complex back story (Sheik withstanding). 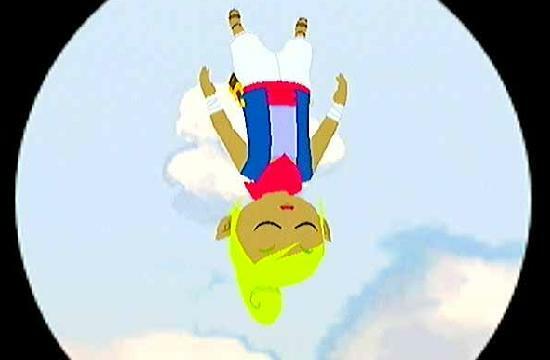 In Wind Waker, you meet and befriend Tetra so early in the story and are never led to believe that she could be Zelda. The story is presented so differently from past Zelda games that you begin to wonder if Princess Zelda will even make an appearance at all. While Sheik from Ocarina and the cloaked woman from Twilight Princess all end up being Zelda in the end, these appearances feel more just like cleverly handled disguises or shells for the Princess hiding underneath. Tetra, on the other hand, is not really a disguise at all, but a living, breathing, wholly original character unlike any previous Zelda before. 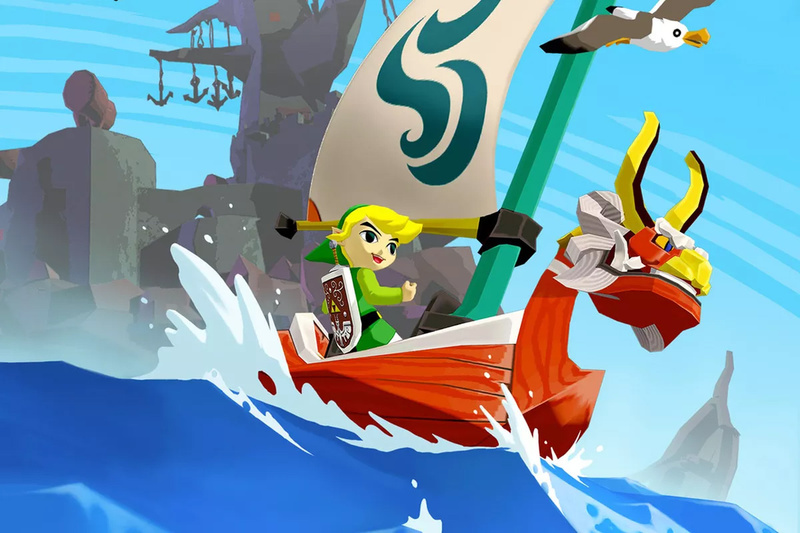 From early images and the little I have played of the game, it looks like Wind Waker’s true sequel, the DS exclusive Phantom Hourglass, is bringing back the character of Tetra. It appears Zelda chooses to don the pirate garb again and adventure with Link once more (royal image be damned!). This is a breath of fresh air, not just for the character of Zelda, but for this entire series in general. 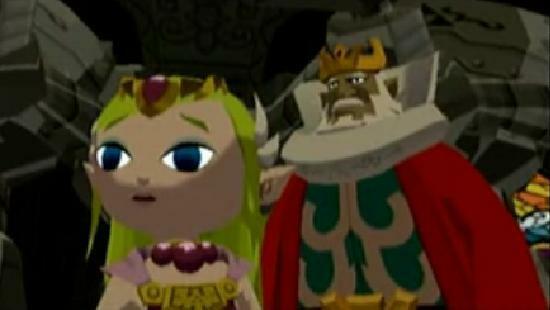 I have such fond memories of the instant classic Wind Waker (as I do all the Zelda games), but finding out the character of Tetra is really Princess Zelda is one surprising videogame moment that will always hold a special place in my heart.